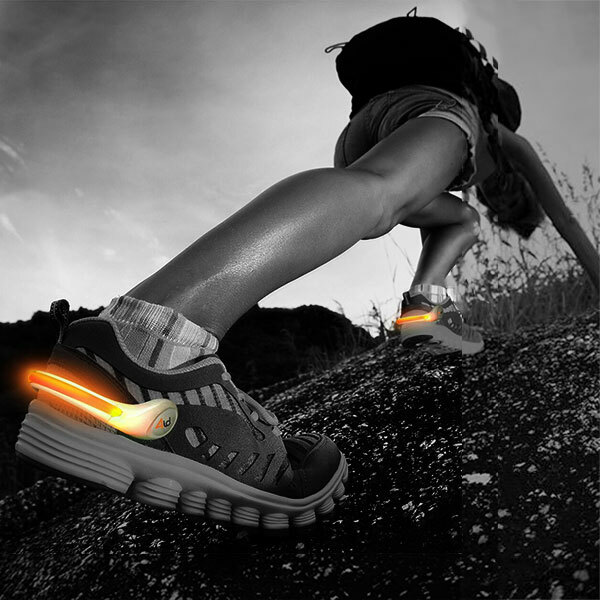 Stay safe while training outdoors with this orange colored "Power Sprurz" lightweight heel spur. Choose the pulse or continuous lighting. 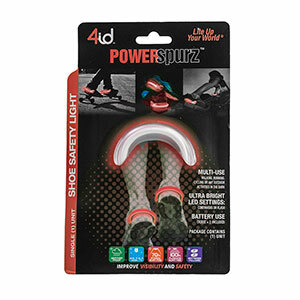 This item slides easily on to the back of your shoe and looks bright with vibrant LED lighting. It uses two CR2032 batteries which can found included.